We spend approximately 90% of our time indoors. So it’s easy to see why a clean home is important. This is particularly true for carpets, which can have a massive impact on your family’s health- particularly if you have children. Read on to learn why clean carpets can help you stay healthy throughout the year. Think Your Carpet is Clean? Dirty carpets can lead to serious health problems, even if you’re an otherwise healthy person. Every day, your immune system is fighting unwanted bacteria and toxins to keep you healthy. But when you’re living in an unclean environment, your stress levels will rise. This can affect your immune system. When your carpets are dirty, you’re exposed to harmful bacteria. This makes your immune system go into overdrive, making you more susceptible to sickness and disease. Mycotoxins are some of the most dangerous microbes thriving in dirty carpets. They are different types of mold that can cause health problems like respiratory diseases, allergies, and stomach infections. While clean carpets are fine to walk on with bare feet, the same isn’t true for dirty carpets. Fungi and bacteria come into contact with openings, wounds, or cuts on your skin, which cause problems like athlete’s foot. Mold thrives in dirty carpets, attracting allergens and bacteria. When you inhale these, it can result in respiratory problems and flu-like symptoms. Dust mites also thrive on fungi and bacteria, and dirty carpets are a great breeding ground for them. When they die, their carcasses stay in the fiber of your carpet. This can cause eye and nose irritation and rashes. If you or your children have asthma, dirty carpets can trigger attacks when they’re exposed to toxins and bacteria in the fibers. Another important reason why you may want to clean your carpet? The smell. This is especially true if you have children and/or pets which can contribute to some unfortunate smells. To remove these smells you’ll need a deep, steam clean. Homes and offices can’t look clean if the carpets are dirty. While vacuuming is a good way to remove debris and dirt from the carpet, regular deep cleans are also needed to remove tougher stains. It’s surprising how much better your carpets feel and look once they’ve had a proper clean. Carpets are always walked on and have things spilled on them, resulting in permanent soiling or stains. When you have clean carpets, you’ll prolong their life by stopping spots and stains from becoming permanent. Take a good look at your carpet. Is it still the same vibrant color it was when you first moved into your home or had the carpet laid? Over time, carpet begins to lose its color, particularly in high-traffic areas or without regular cleaning. When you see that your carpet looks discolored or has lost some volume, a professional carpet cleaning company can help bring it back to life. It’s a good idea to lift up your couch or coffee table and see if the carpet underneath is a different color than the surrounding carpet. If you haven’t had your carpets professionally cleaned and you have a furry friend, it’s time to get it done. Pets sometimes have accidents on the carpet. Cats sometimes bring in dead mice or birds from outside. Dogs sometimes drag themselves across the carpet. And both cats and dogs can tear up your carpet with their claws and cover it with fur and dander. Have you noticed your allergies are acting up more than usual? Do they continue to get worse over time? This could be due to your carpet. Carpets are sponges for pollen, dander, dust mites, and other allergens. These can impact your breathing and give you that “stuffed up” feeling. A clean carpet makes a massive difference to how comfortable you feel and how much your allergies affect your life. Carpets absorb all the different odors in your house. Whether it’s the wet-dog smell from Fido to the curry your spouse cooked, to dirt that’s tracked in, your carpet holds scents. If you start noticing that your carpet smells, it’s a good idea to get it cleaned. Smelly carpet can be embarrassing. Bad smells are evident the moment people walk into your home, so get your carpet cleaned and remove those bad odors. If you’ve had an extra-wet winter, you and your family have probably brought lots of moisture into the house. This can show up in your carpets in the form of mildew and mold. White carpet will often turn a dirty shade of grey. It’s easy to give your carpet a vacuum and consider the job done. But dirt, dust, and allergens hide deep down where you can’t see them. Many common health problems can be directly attributed to dirty carpets. 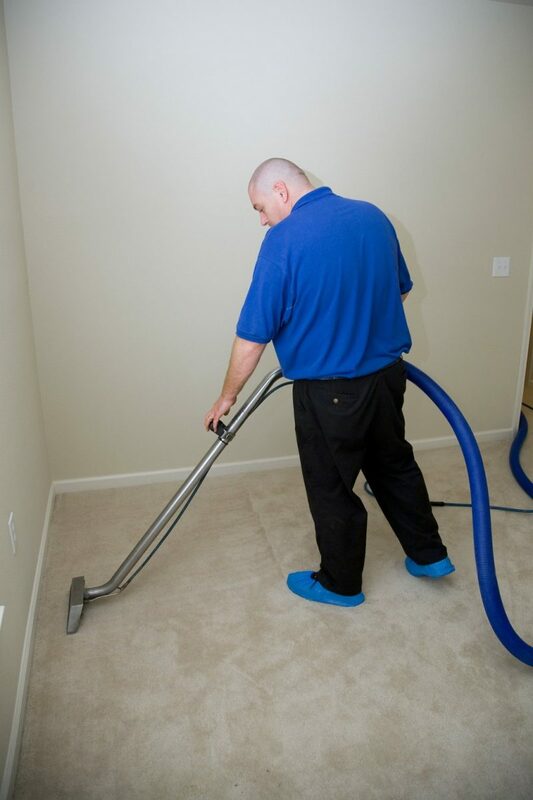 If you’ve noticed that you or your family get sick often, your allergies are getting worse, or your carpet looks dirty and smells bad, it’s time to get your carpet cleaned by professionals. Get in touch today to learn how we can ensure you have clean carpets in your home.